Are you unhappy with your birthmark? Is it ruining your look and causing a loss of self-confidence? 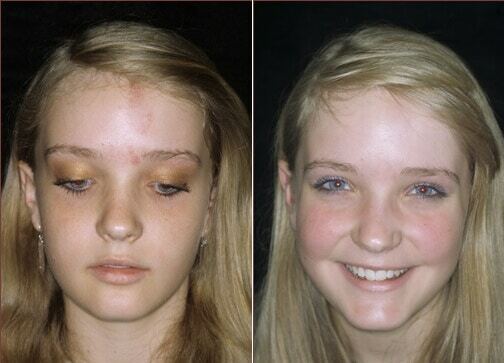 Well come on in and get our effective, safe birthmark removal treatment. We use the latest IPL, E-light or laser treatments. IPL, E-light and laser birthmark removal treatments are very similar. They use high power light or laser. The light or laser is at a frequency that melanin will absorb. The light or laser is pulsed in very short pulses. Short enough to heat the melanin to destroy it but not enough to heat the surrounding tissue. The metabolic process removes the broken-up melanin. The treated birthmark may get darker at first before fading after a few weeks. A number of treatments may be required until the birthmark has disappeared. Rather than try and work out which treatment is best for you over the internet. Make a booking for a free consultation and we can help you decide. We can give you a price for each treatment and if you are happy we can start the treatment right away. The length of each birthmark removal treatment will depend on the type and size of birthmark. Typical session will take 15 to 30 minutes. The number and length of birthmark removal sessions depends on the size and type pigmentation mark and age. Normally it takes one to three sessions to get the results you require. Each session should be four to six weeks apart. This gives the body enough time to remove the melanin from the last treatment. Before any session we will provide a full consultation. The consultation identifies your expectations and provides you with a full explanation of the treatment. A medical history is taken to confirm suitability for treatment. If you wish to proceed a written informed consent is obtained. A test patch is performed to confirm there are no adverse skin reactions to the light or laser before the treatment starts. Come in to Xara Skin Clinic ™ in Lane Cove on the North Shore. Talk to us today about starting your best effective safe IPL or laser get rid of birthmark removal treatment today. For an all over whole body experience come and see us in Lane Cove on the North Shore. Come and relax in our opulent ambiance, welcoming staff, the scent of essential oils, calming music, the soft cool breeze. For world class, exclusive treatments and products, we are the beauty and skin care experts in Lane Cove on the North Shore.